This wall calendar is uniquely designed to combine some major Thai heritage in one cover picture. In addition, there are 4 different pictures of each heritage in monthly pages. , 2013 Astrology good days, bad days, each Zodiac good days for your reference in daily plan. 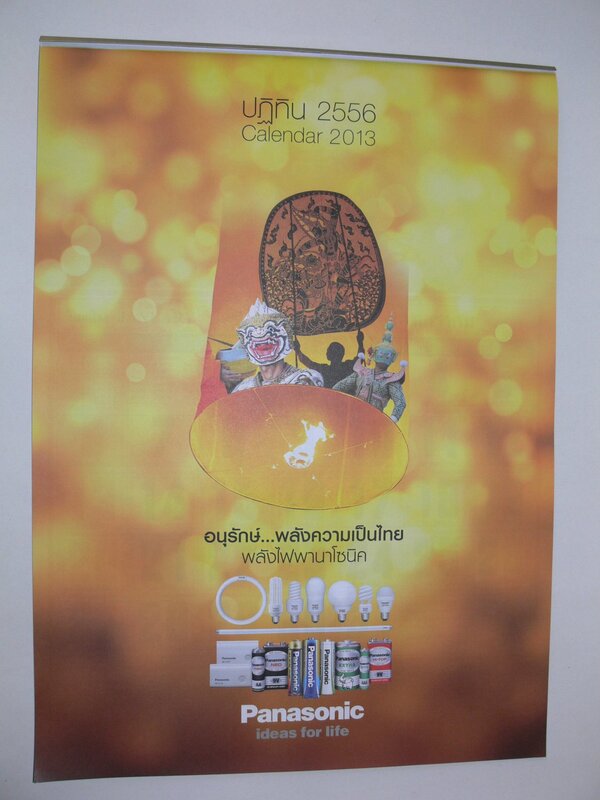 In addition to normal calendar (365 days), this calendar contains all Thai holidays. This calendar contains 12 months, 1 month per 1 page. It can be hanged to the wall easily. This item will be shipped in tube to have better protection. So, shipping cost and packaging cost is higher, but this is worth the money. To expedite the shipping period, DHL Express (3 to 7 Days) is available for faster delivery; please contact us via message. Combined Shipping for Multiple Items: Available, please contact me via message for each additional items paid in the same payment transaction (except free shipping items). Please leave me positive feedback with 5 stars on all DSR score. Our shop strives to deliver 5 stars Customer Service. Please kindly give us 5-star rating on all DSR Score. We put our best effort to make you satisfied and always try to have precise description with clear and accurate photos. If description or photos make you confuse, please send us message, we'll answer you as soon as possible. If in any circumstances that you are not satisfied with our products, please send them back to us within 14 days after receiving the items. We will issue you 100% store credit, excluding shipping fees. The credit will be given within 2 days after the items received (REGISTERED MAIL SUGGESTED). Please note that returned merchandise should be in good condition, open package is ok to return.